Teachers, Administrators, and Teaching Artists are invited to join us on Friday, December 7, 2018 for an all-day professional learning opportunity. In the morning, connect with community and state resources and learn how to access funding and opportunities for your school! Enjoy networking over a BYO lunch, and spend the afternoon in a hands-on workshop that focuses on making your lesson more meaningful and engaging while boosting literacy. Connect with community and state resources and learn how to access funding and opportunities for your school! 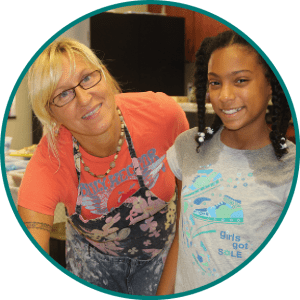 Learn all about Artists in Education Residency Grant Program, Scholastic Art & Writing Awards, Poetry Out Loud, Teen Arts, Appel Farm Arts Camp, and more! 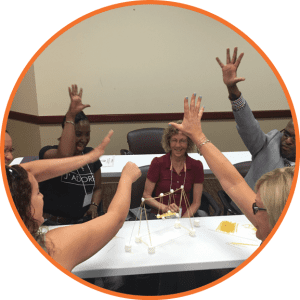 In this hands-on, experiential workshop, teachers, administrators, and teaching artists from across the grade span and across the curriculum will learn how to use poetry reading, writing, and recitation to make any lesson plan more engaging and meaningful. We’ll look at examples — from Lin-Manuel Miranda’s extraordinary opening rap in Hamilton to ancient haiku about the natural world — do some writing and reciting, and brainstorm ways to infuse any lesson plan with poetry. Anndee Hochman is a journalist, essayist and longtime teaching artist; she has worked with the Poetry Out Loud program in New Jersey since 2006. She and her family share a poem at the dinner table every Friday night. Click here to learn more about Andee. Appel Farm will work with your team to craft the professional learning experiences that will meet your goals! Appel Farm believes that arts education professional development is essential to teacher and student growth, not only in the arts, but in all areas. The educational landscape is constantly changing, the arts education field is rapidly evolving, and knowledge and resources for teaching and learning within each specific arts discipline are expanding. With this constant change, keeping your skills and knowledge current will give you and your students an advantage in achieving your goals. Explore ways to maximize learning outcomes by including the arts. These workshops can be geared towards content teachers or general education teachers. 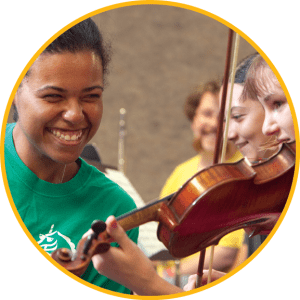 Topics, which are customized to meet your needs, may include: National Core Arts Standards, New Jersey Core Curriculum Content Standards in Visual and Performing Arts, the New Jersey Model Curriculum, arts integration, arts assessment, arts education advocacy, and S.T.E.A.M. Enhance your knowledge of specific art techniques and genres. Appel Farm’s highly qualified teaching artists transform teaching and learning in the arts through one or a series of sessions in creative writing, dance, media arts, music, theatre, and visual arts that are customized to meet your needs. Engage in programs that take place at Appel Farm, or in schools and other centers of learning throughout the year. Creative Connections is arts-based school programming that aims to transform teaching and learning through the arts. If you are interested in these programs or would like to explore other opportunities, please contact [email protected], or call us at 856-358-2472..